The publishing houses Breitkopf & Härtel and G. Henle Publishers are proud to present their cutting-edge Mozart Urtext editions for the 21st century under the title “Mozart21”. The project was launched at this year’s music fair in Frankfurt. Brought together in a clear, printed catalogue and optimally presented on a new website, the aim is to provide today’s musicians with the best practical Mozart Urtext editions. Our 21st-century editions reflect the most recent state of international Mozart scholarship. They have been prepared by experienced editors and are endorsed by internationally renowned artists. The first editions in the “Mozart21” collection were released in 2000. In many cases they are cooperation projects between the two publishing houses: the piano reductions are published by Henle, the orchestral materials, scores and study scores by Breitkopf & Härtel. As all of the content comes from the same source, they are perfectly attuned. Both publishing houses will be releasing further Urtext editions of works by Mozart, some of which will also be co-productions. 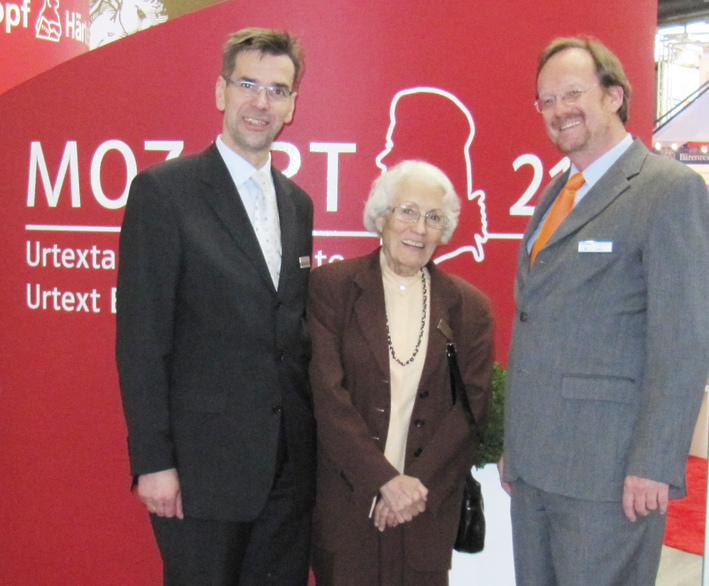 The shared homepage “Mozart21” provides further information.